THIS THREAD IS DEDICATED TO ALL THE GOOD DOCTORS OUT THERE - DOCTORS IN STYLE! A young man named Park Shi-On has autism and a developmental disability. His mental age is that of a 10-year-old, but he becomes a paediatric surgeon. Meanwhile, Kim Do-Han, who is the best pediatric surgeon, finds himself frequently in confrontation with Park Shi-On. The actors of Good Doctor got together for their first energy-charged script reading session. The staff and producers of KBS′ upcoming drama Good Doctor attended their first script reading on June 9. Joo Won, Moon Chae Won, Joo Sang Wook, Kim Min Seo, Chun Ho Jin, Kwak Do Won, Na Young Hee, Jeong Man Sik, Uhm Hyun Kyung, Yoon Bong Gil and all the other cast members of Good Doctor were present to kick off the drama. Though it went on for a long three hours, not one actor showed he or she was exhausted or burnt out, continuously reading out the script and showing their passion for Good Doctor. Joo Won, Moon Chae Won and Joo Sang Wook especially proved they had put their backs into studying medical jargon, reading out the script with ease. Joo Won fit in perfectly to his role as the autistic Park Si On, while Moon Chae Won also transformed into the dutiful Cha Yoon Seo. Joo Sang Wook depicted the charismatic Kim Do Han. The script reading didn′t end at just reading out what was before them; some of the actors actually put on a few scenes, and burst out laughing for the more comical lines. During break, they all exchanged a few happy words. Good Doctor is about how Park Si On, an autistic young man, breaks through prejudice to become a pediatric surgeon. SO excited! Waiting for premiere! Wowowow . New on-screen couple. Can I have three wishes ? I wish this drama would be a success and touching one . I wish Chae Won unni and Joo Won oppa would have a good time filming together and become good friends after this drama. I wish all the healthiness and wellness for the filming team. wish they will be a good friend and created moon siblings fever...haha.. I'm really excited about this new drama, moon chae won is my favorite actress and joo won is one actor very handsome and talented, surely they will have a great chemistry. Preparing for a new drama, Joo Won came running with his luggage to the set of KBS' Good Doctor. The photo released on July 8 gave first looks at the new drama as Joo Won dressed up in a clean, dark grey suit as he walked with a mission. 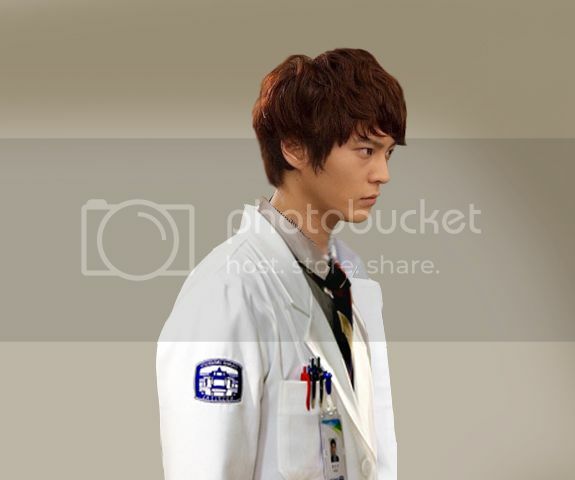 The photos were from the first shooting of Good Doctor, which took place on June 17 in Gwangmyung Station. Good Doctor is a medical drama that focuses in pediatric surgeries. It will begin on August 5. WAITING FOR COUPLE PHOTOS - KEEP IT COMING! '굿닥터' 주원 문채원 첫 만남 어땠나 보니…막강 케미커플 First Meeting? [티브이데일리 박진영 기자] ‘굿 닥터’ 주원과 문채원이 ‘안구 힐링’ 첫 호흡 현장을 공개했다. 주원과 문채원은 KBS 새 월화드라마 ‘굿 닥터(극본 박재범, 연출 기민수)’에서 각각 ‘서번트 신드롬’을 지닌 자폐 성향의 발달장애 청년 박시온과 사명감이 강한 소아외과 펠로우(전임의) 2년차 차윤서 역을 맡고 있다. 그 런 가운데 주원과 문채원의 ‘무공해 순수’ 커플 탄생을 예감케 하는 첫 촬영 현장이 포착됐다. 쓰레기 더미에서 심각하게 무엇인가를 찾고 있는 주원과 그런 주원을 놀랍다는 듯 바라보고 있는 문채원의 모습이 호기심을 안겨주고 있는 것. 2013년 하반기 안방극장에 따스한 치유와 위로를 선사해줄 두 사람의 만남에 기대감이 높아지고 있다. 주원과 문채원의 첫 만남은 지난달 28일 경기도 분당에서 이뤄졌다. 두 사람은 촬영장에 들어서자마자 누가 먼저랄 것도 없이 인사를 건네며 훈훈한 분위기를 연출했다. 촬영 전 대본을 나란히 읽으며 연기에 몰입하는 모습으로 첫 호흡에 대한 설렘을 드러냈다. 또한 ‘굿 닥터’를 통해 처음으로 한 작품에서 호흡을 맞추게 된 두 사람은 첫 만남임에도 불구하고 호흡이 착착 들어맞는 ‘찰떡 호흡’을 과시하며 현장을 달궜다. 다소 어려운 감정선을 표현해야하는 상황이었지만, 마치 미리 연습을 한 것처럼 자연스러우면서도 완벽한 ‘커플 연기’를 펼쳐낸 것. 특히 주원과 문채원은 한 살 터울의 또래 배우들인 만큼 연기에 대해 더욱 편안하게 소통하며 캐릭터에 대한 몰입도를 높이고 있다는 귀띔이다. 카메라 앞에서는 집중해서 연기를 이어가다가도 카메라 불이 꺼지고 나면 환한 웃음과 함께 장난을 치는 등 명랑하고 유쾌한 촬영장 분위기에 일조하고 있다. 제작사 로고스필름 측은 “주원과 문채원이 첫 촬영을 통해 예상을 뛰어넘는 막강 커플 호흡을 선보이면서 현장 스태프들마저 찬사를 아끼지 않았다”며 “‘굿 닥터’를 통해 새로운 연기 도전에 나서는 주원과 문채원의 모습을 지켜봐 달라”고 전했다. 한편 ‘굿 닥터’는 대학병원 소아외과를 배경으로 펼쳐지는 전문의들의 노력과 사랑을 담은 휴먼 메디컬 드라마다. ‘서번트 신드롬’을 지닌 자폐성향의 발달장애 청년 박시온이 세상의 편견을 극복하고 소아외과 전문의로 성장하는 과정과 함께 탁월한 의술을 지녔지만 남모르는 상처를 가진 부교수 김도한(주상욱 분)과 털털한 매력으로 두 사람을 따뜻하게 보듬어가는 여의사 차윤서의 활약을 담게 된다. ‘굿 닥터’는 ‘상어’ 후속으로 오는 8월 5일 첫 방송된다. Shipping for this couple officially begins in a few hours. Lets keep this thread active. Hi I'm forever fan of Won<3Won Couple! Let's be active in this thread all!!! Moon couple really want to see in real life. blossomz said: Shipping for this couple officially begins in a few hours. Lets keep this thread active. BTS photo Oh cute What are they talking? Moon Won couple starts now!